This pretty tree measures approximately 43" wide by 60" tall. Shown here in Dark Brown but available in all of our colors! Please let us know beforehand if you need different sizing, as pricing will vary. Wonderful...as always!! 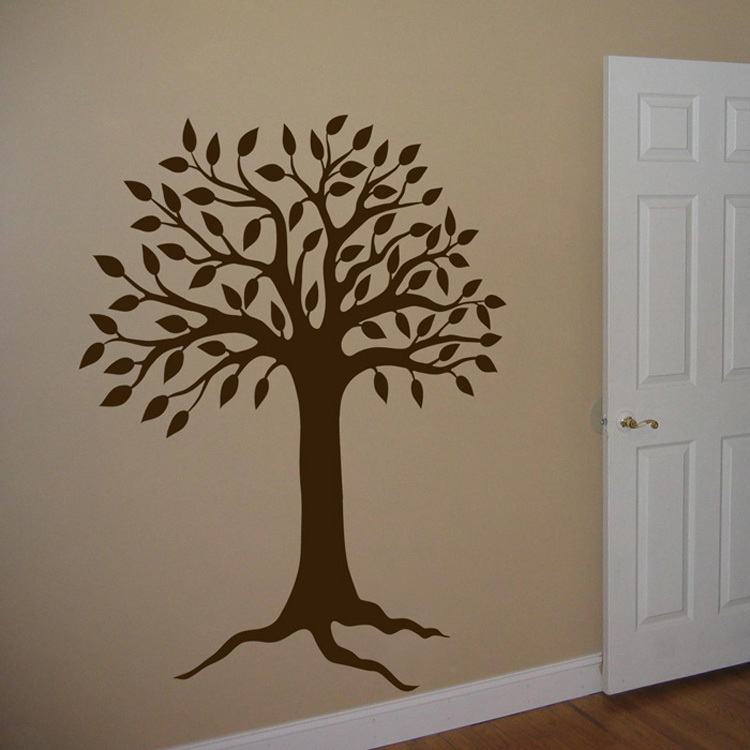 Simply the BEST wall decals! This is my second custom order....I won't shop anywhere else! Thanks so much!! I ordered the Tall Tree Waving in the Wind, and it looks so nice in my son's room. Was easy to put up. I recently purchased the bamboo decal for a small area in my cabana bathroom. It is a small area and pictures were not suitable fot this location. The painted walls are aqua in color so I ordered the bamboo in white to match the bath fixtures. What a great addition this made to my bath not to mention all the positive comments I have received. I moved into this house almost 3 yrs ago and have a vaulted staircase. I had no idea what to do with it until I saw this Cherry Blossom Tree.. I have had this decal for about 2 yrs and still get compliments on it. The staircase is a multi level staircase and I had the flowers float up the wall like the wind was taking them away. We recently moved and the tree had to come down. Boo! I have to say though after two plus yrs. the decal came off and left no residue and took no paint off. 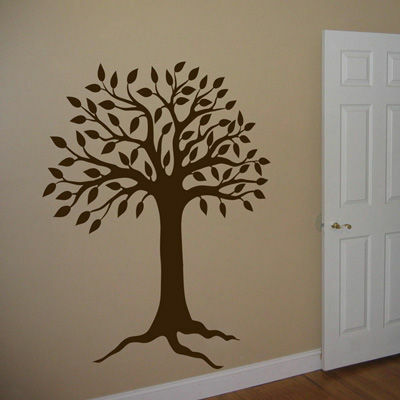 I am trying to figure where I want my new family tree now in my new home. Thanks for making great decals.